I’m sure this isn’t the first time you’ve heard the famed quote allegedly spoke by the ancient Greek physician, Hippocrates. But whether you have heard this or not, have you ever stopped to really consider it? Let’s pause to think about food objectively for just a moment. Eating and drinking is likely the single act we do more than anything else daily, arguably making it the most important act of the day. Therefore, logically, shouldn’t the things we ingest be of utmost importance? Just as we consider the purpose of a medication before taking it, shouldn’t we consider the purpose of our food before eating it? As we carefully consider the side-effects of a new medication before starting it, shouldn’t we consider the “side-effects” of our food? Would you think twice if a food label read, “This product contains added sugar. 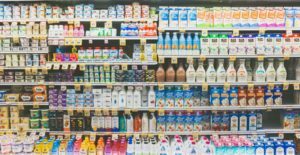 Excess sugar may cause serious side-effects including increased risk of cancer, heart disease, diabetes, and inflammation, which leads to many chronic conditions and pain.” What about a label that read, “This product contains palm kernel oil. Palm kernel oil is a saturated fat that may lead to excess weight gain, high blood pressure, increased cholesterol levels, and significant risk for heart attack and stroke.” I don’t mean to be an alarmist, but these statements are true. Now, I’ll be the first to acknowledge that food is more than an object and eating more than a necessary act for life. Food is a very personal thing for most of us and something that is tied to emotion, tradition, culture, and celebration. There is no escaping this truth. They are intrinsically interwoven, and it would be futile and counterproductive to try to separate them. Additionally, food is to be enjoyed; satisfaction and enjoyment of food are critical components that signal fullness. The point of this post is not to cause alarm and anxiety about food. In fact, it is just the opposite. So much of the worry, confusion, and guilt felt about food choices is a result of the disconnect between the people eating food and the food itself. But why would it be any other way? We aren’t taught about food and good nutrition in school, health claims on food products are confusing, and the messages we hear about food in the media tell us as many different things as there are people to tell it. The quality of our food is changing, and it’s moving in the wrong direction. 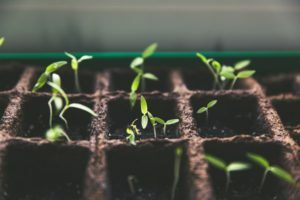 Studies show that food produced today is less nutrient rich than it was 70 years ago due to a variety of factors.2 In some cases, nutrient-depleted soil from land overuse is the cause of nutrient declines; and in other cases, efforts to breed new varieties of crops are to blame. 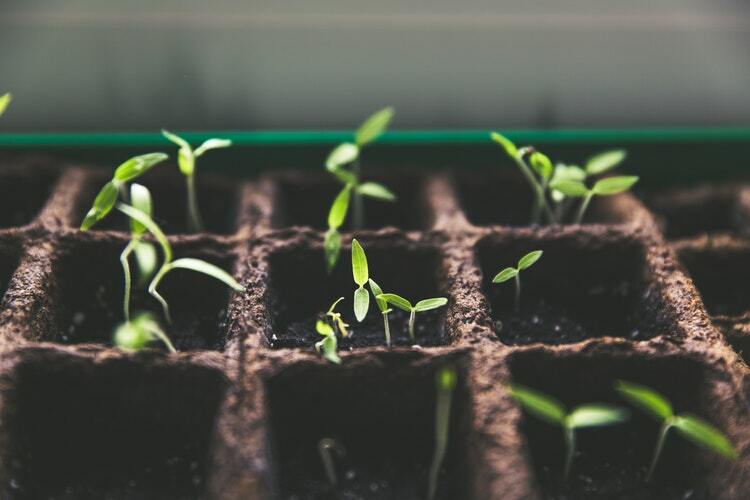 New varieties of crops are bred to increase yield, resist pests, and adapt to various climates, but the plant’s ability to uptake nutrients seems insufficient to keep up with the rapid growth. This results in a less nutritious but more abundant food supply. Helpful Tip: Avoid highly processed foods as much as possible. The more natural the food, the more nutritious and beneficial for your body and health. 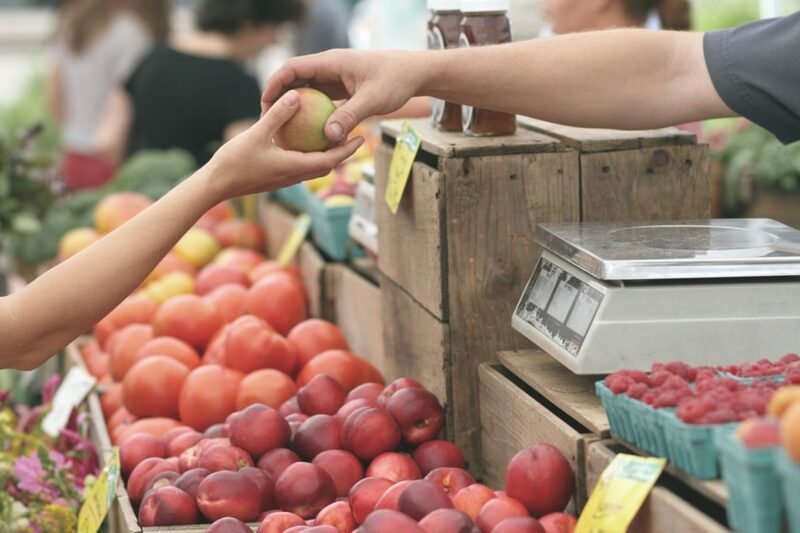 Shop local whenever possible (farmer’s markets are a great option), organic if it’s affordable, and choose naturally nutrient-rich foods like fruits, vegetables, whole grains, nuts, and legumes most of the time. Naturally raised animals (example: grass-fed and pasture raised cattle and chicken, and wild-caught seafood) will produce the most nutritious animal protein options. You can also grow some of your own foods in a home garden, if you have the ability and desire to do so. Whatever you do, don’t use this point as reason to eat more processed foods. 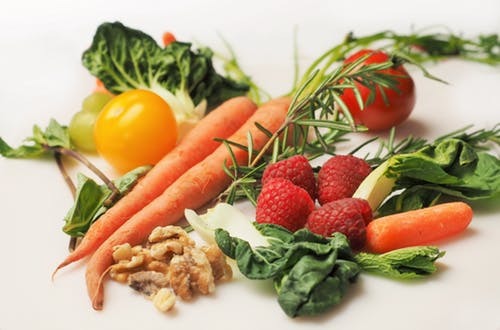 Fruits, veggies, whole grains, and other natural foods (or products made from natural foods) are still the most nutritious foods we can choose and should make up most of the diet. If you can’t afford organic food and pasture-raised protein, buy the other options. They’re still highly nutritious! Speaking of more abundant but less nutritious food, let’s talk about grains for a moment. Grains like rice, bread, cereal, and pasta have come to have a bad reputation in recent years, but these are very healthful foods if you know what to look for. Here’s the breakdown: all whole grain kernels – whether it’s corn, wheat, rice, oat, barley, etc. – have three parts. 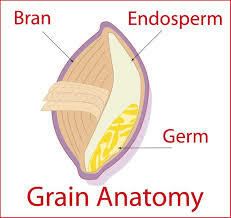 These are the germ, bran, and endosperm. The germ is where most of the vitamins, minerals, and a small amount of protein and healthy fat live. The bran is the hard-outer shell of the grain; this is the source of a grain’s fiber, along with important antioxidants and B vitamins. The endosperm, which is the largest part of the grain, houses all the carbohydrates, a small amount of protein, and, therefore, the majority of the calories. Refined, processed grains (white bread, rice, pasta, etc.) are grains that have had the germ and bran removed, leaving us with calorie-rich foods that have little nutritional benefit, aside from providing energy. Whole grains, on the other hand, provide a great source of vitamins, minerals, fiber, and other nutrition, along with the calories. These are beneficial for our health and a crucial component of a balanced diet. Helpful Tip: Read the ingredients list on the label. Most processed foods are made with refined grains, and the only way to know is to check the ingredients list. If you see the word “Enriched” in front of the type of flour, it is a processed and refined grain with less nutritional benefit. A true whole grain product must list the first ingredient as “100% whole grain” or “whole grain” in front of the type of grain. For example, cracker ingredients listed as “whole grain wheat,” or bread that reads “100% whole grain rye flour,” or pasta that lists “Whole grain wheat durum” as the first ingredient on the label are all whole grain products. Multi-grain simply means there are multiple types of grain in the product. Ignore the tricky marketing claims on the front of the food package and go straight for the ingredients list. Food waste is a big problem contributing to the global burden of food supply. Each year, roughly one third of the food in the world produced for human consumption is lost or wasted. That’s approximately 1.3 billion tons of food. In industrialized countries, 40% of losses occur at retail and consumer levels;3 and in the United States, specifically, an estimated 31% of food is wasted each year, correlating to approximately 133 billion pounds and $161 billion dollars’ worth of food in 2010.4 Fruits and vegetables have the highest wastage rates of any food (45%), followed by fish & seafood (35%), cereals (30%), and lastly, meat, dairy, and oil seeds (20%). Helpful Tip: Try to reduce your personal food waste through prevention, intervention, and re-purposing. Prevent food waste: Shop the marked down food section of your grocery store. These foods are nearing their “Best by” date, and grocery stores won’t sell food past this time. Food can still be safely consumed beyond this date, but the quality, texture, and taste may be slightly affected. On the up side, you’ll save money! If this isn’t for you, you can still reduce personal waste by planning meals, buying appropriate container sizes (meaning, if you never use a full gallon of milk before it turns sour, buy the half gallon size), and saving leftovers for a second meal or a re-purposed meal. Intervene before food is wasted: fresh berries that are nearing the end of their shelf life can be frozen and used in smoothies, pancakes, oatmeal, or made into a compote; apples and bananas can be made into bread or applesauce if no longer ideal for snacking; wilting veggies can be sautéed, finely diced and mixed into a sauce, or used in a soup without notice of a change in texture; bread can be kept in the refrigerator to prolong its shelf-life; nuts can be stored in the freezer if you find they go rancid before you finish the bag; and meats can be frozen until you are ready to use them. These are just a few ideas to try. Re-Purpose: Finally, if you aren’t able to prevent or stop food waste from occurring, you could consider using food waste to create compost. Compost is a necessary component of farming and gardening, and many towns will collect it just like garbage and recycling. Look into your local options! To sum up, remember that no food is off limits entirely (unless you’re managing a medical condition and have been advised otherwise). 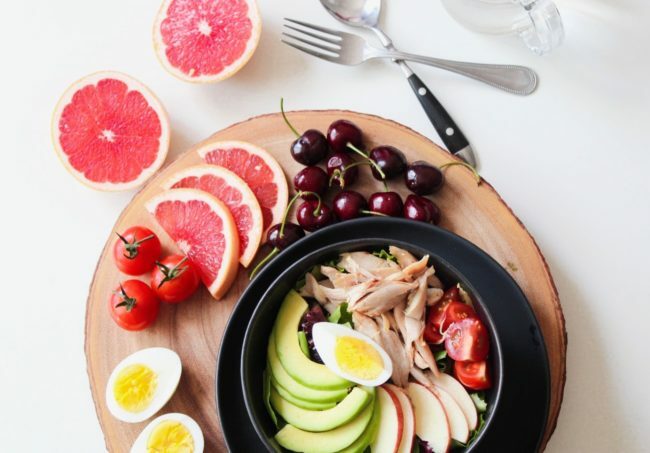 It is the habitual food choices and behaviors that impact our health most; and therefore, these are the habits we want to become aware of and work towards balancing. Hot dogs can be a once-in-a-while food choice, as can refined white flour food products (like Cheetos), french fries, or protein bars. The message here is to simply get back to the root of real food. When we take the time to understand, prepare, and appreciate our food more, our relationship with food changes. This is where we will find our best health. Interview with Michael Ruhlman, the author of “Grocery: The Buying and Selling of Food in America,” published on Market Watch website; June 17, 2017. Accessed March 5, 2019. Changes in USDA Food Composition Data for 43 Garden Crops, 1950 to 1999. Food and Agriculture Organization of the United Nations. Key Facts on Food Loss and Waste You Should Know. Accessed March 12, 2019. United States Department of Agriculture. Food Loss and Waste. Accessed March 12, 2019. Copyright © 2019 Family Physicians of Greeley, PLLP | Theme by SiteOrigin.